A beautiful aqua box arranged of 12 red roses the perfect gift for Valentine's Day. 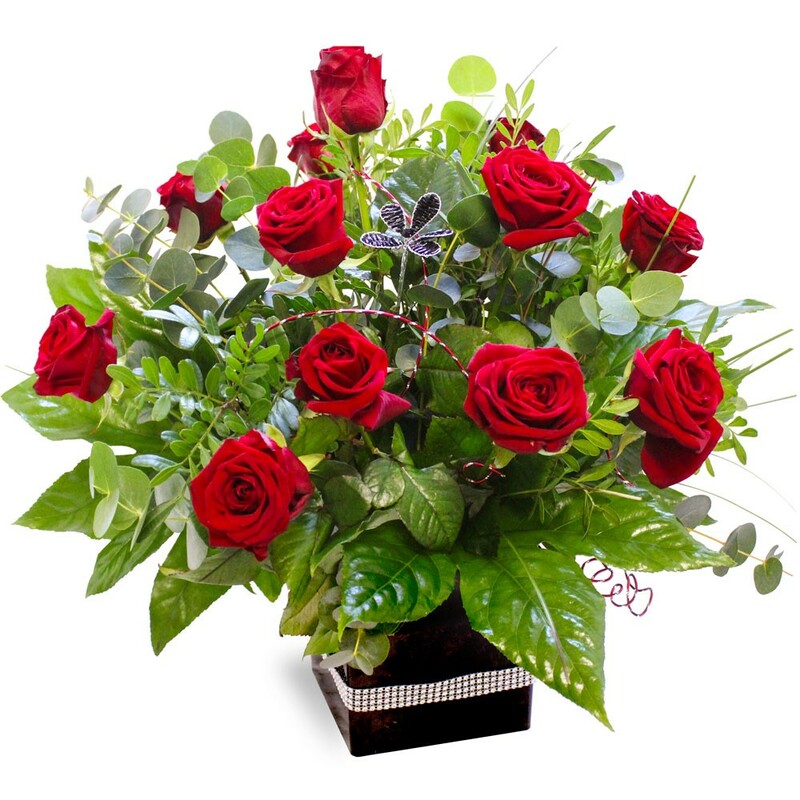 Twelve spectacular long stem red roses are arranged with a mixture of gorgeous glossy foliage’s that enhance the beauty of the blooms. Sent in an aqua pack (a bubble of water that encases the stems) keeping the flower fresh and hydrated. This bouquet certainly says I love you! Why not add some chocolates or a balloon or both to your order to bump up the Wow factor! Send them to their work address or home address to deliver a surprise!